Intel's 10nm and GlobalFoundries' 7nm are "more similar than they are different". 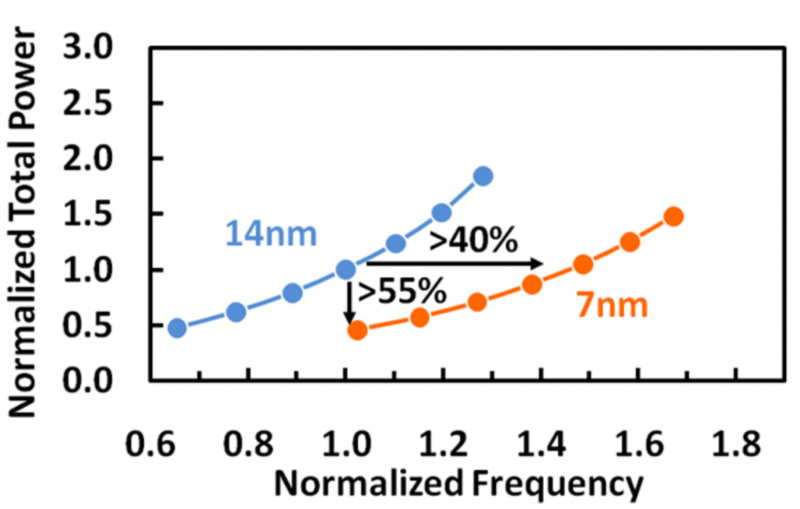 Read more about Globalfoundries 7nm process. While FinFET does serve us well now, GAAFET (Gate All Around-FET) will be the next big thing, where the gate will have 360 coverage around the channel region. Right now FinFETs (Or Tri-Gate transistors) only cover it from three sides. Intel has stated they will go to 5nm after they get the knot of 10nm untangled. Nothing to do with when. The post makes perfect sense. Intel will still have a lead whether they are at 10 or 7. Doesn't matter what anybody else has. Everybody classifies their die size backwards so it looks better for investors. Whereas Intel makes sure it is actually the right size they claim it to be. Once Intel hit 7nm they will have a little bigger margin yet again. It will take a while before anybody else can match them in density and other areas at the same node. Intel may not have as big of a lead but they still are ahead. People need to relax about the impending doom for Intel. It's not like it even matters much. We won't see much improvement in the real world between 10 or 7. There is considerable discussion with the Electrical Engineering community about whether GAAFET is all its cracked up to be. To be frank I am really getting fed up reading anything about intels future plans as the company have been total a*******s with their very slow uptake of tech. It took a near bankrupt AMD to release Threadripper and Ryzen to force intel to release anything interesting for the desktop.